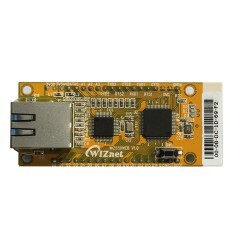 WIZ550web-EVB is a evaluation board for WIZ550web. 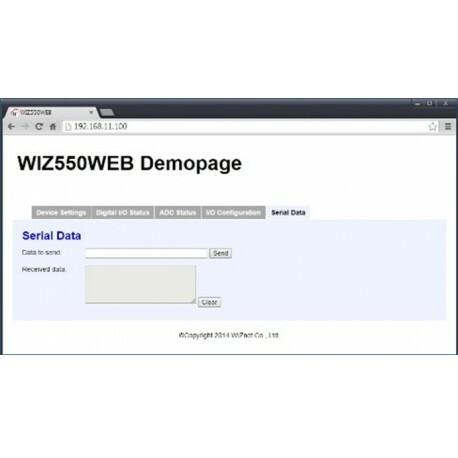 WIZ550web is an embedded Web server module based on WIZnet W5500 hardwired TCP/IP chip. 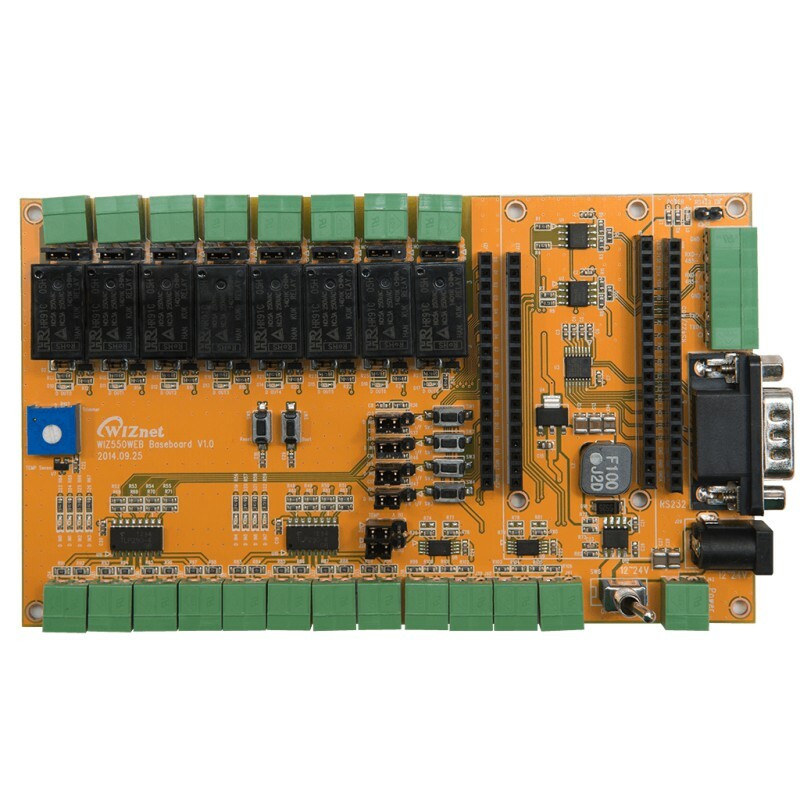 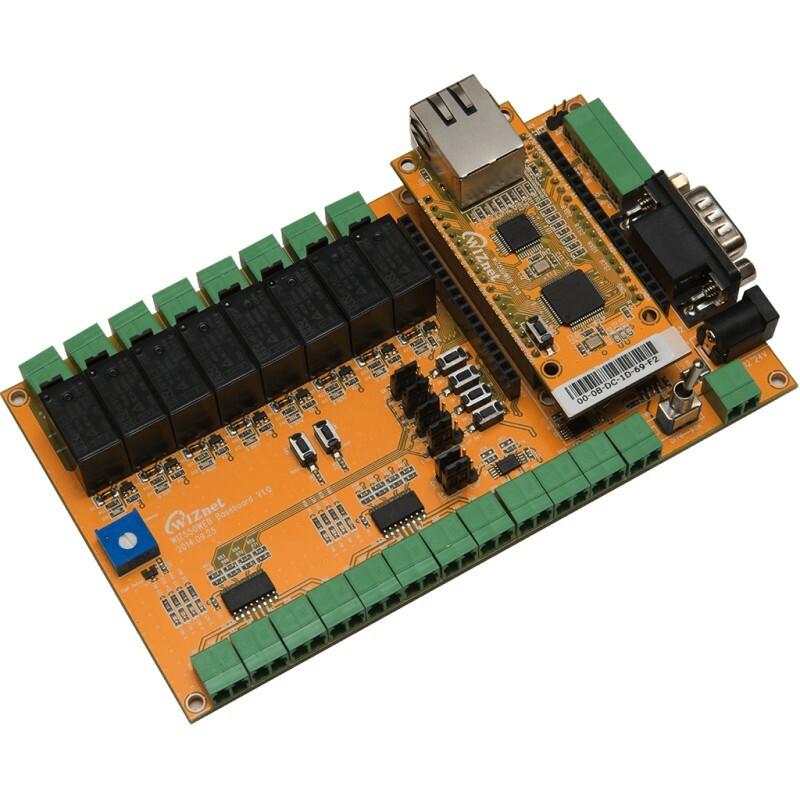 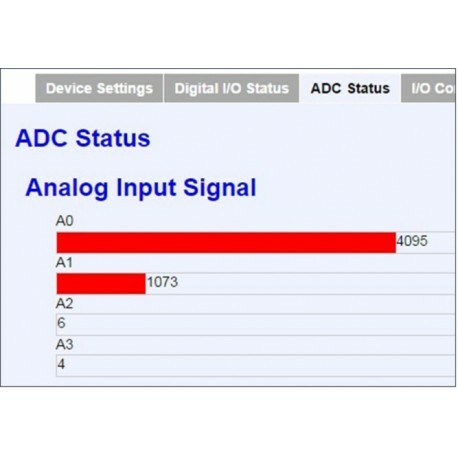 User can control & monitor the 16-configurable digital I/O and 4-ADC inputs on module via web pages. 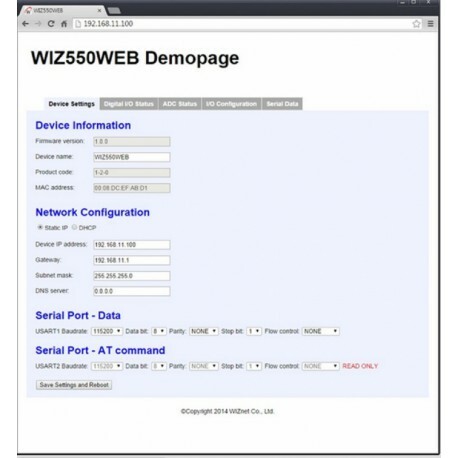 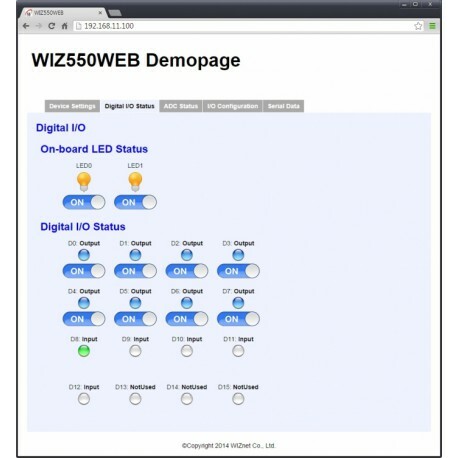 WIZnet provides firmware & web page examples for user to customize their own objective.